Re-post. Note, must read the newspaper report of her dying act of kindness – scroll down. Lizzie Borden died 84 years ago today. She died at 8:30 pm on June 1, 1927 (a Wednesday) in her home in Fall River, MA. She had been lingering all day, surrounded by her chauffeur and two servants: Ernest Terry, Ellen Miller, and Florence Pemberton. There were others who came to the house as well. The Reverend Cleveland from the nearby Church of Ascension – a few doors down from Central Congregational Church on Rock Street – would execute the wishes Lizzie had written out on March 31, 1919. Vida Turner would come in and be instructed to sing “My Ain’ Country”, tell no one she had been there and then leave immediately. UPDATED 3/27/19 – Note: The inscribed copy arrived March 20th – postmarked March 12th. I wrote the following review March 13th. Cara Robertson has written a fine book that wonderfully weaves the context of the Trial proceedings into a “you are there” narrative flush with new insights and deft storytelling, exposing the female-suppressed culture of the Gilded Age. Drawing heavily from the Trial transcript and newspapers of the day, she tells this oft-told tale in a new way that forces the reader to reflect on the cultural influences of the era and the why and how of its sensationalism, final outcome, and enduring appeal. The book credits almost all the photographs therein to the Fall River Historical Society where, sadly, the wrong image of a purported Uncle John Vinnicum Morse is actually that of his (and sister Sarah’s) brother, William Bradford Morse. I know this to be a fact because William’s photograph is included in one of several family albums to be found at the Swansea Historical Society, housed at the Swansea Public Library – a place where I have visited for research several times. William’s name is handwritten in pencil above his image. The image on the left is the actual John V. Morse and has appeared in countless books and documentaries. William, who was in Excelsior, Minnesota during the murders (as he had been most of his life) did, however, resemble his brother, John. (It should be noted that when I brought this error to the attention of the FRHS, I was informed they had documentation from a relative of the Morse family asserting the photograph of William was John. This fails to explain the decades of the other photograph being cited as John with credit to the FRHS). A more blatant error appears on page 278 where the author writes of post Trial notoriety and states “Papers printed improbable reports of engagements, including a betrothal to one of her former jurors.” There is no source citation in the end notes to this statement, however, it has been widely reported of the December 10, 1896 Fall River Herald News report citing a “Swansea school teacher” as the subject of this rumor. That person was, in fact, Orrin Gardner. Ms. Robertson’s deft handling of Knowlton’s lengthy summation strips his elegant oratory to the persuasive essentials: the prosecution’s case was based on Lizzie’s exclusive opportunity and that the victims did not die at the same time -and that these were the controlling facts of the case. As to why Lizzie remained in Fall River the entire second half of her life, the author speculates with an allegorical reference to Hawthorne’s The Scarlet Letter: “It may seem marvelous, that, with the world before her….this woman should still call that place her home, where and where only, she must needs be the type of shame. But there is a fatality, a feeling so irresistible and inevitable that it had the force of doom, which almost invariably compels human beings to linger around and haunt ghost-like, the spot where some great and marked recent event has given color to their lifetime, and still the more irresistibly, the darker the tinge that saddens it.” (And here one can pause to ponder Donald Woods’ appropriate marketing of Maplecroft). While I was impressed with Cara Robertson’s fresh narrative point of view, my overall expectations of the book fell short considering the author’s background. There were far too many errors. There was no new information, and indeed it seemed peppered with the redundancy of other known works. I had been anticipating more given her years of research on the case and her impeccable credentials. That said, I still highly recommend this book to anyone interested in this case and specifically to those interested in the Gilded Age and its cultural impact on women. “I’m Still Here” – The House at 92 Second Street. Here’s an early Review on Cara’s new book. As stated in a previous post, I’ve already ordered on Amazon for its official March release. However, I stumbled across it listed on eBay as an advanced readers edition and now await its delivery this coming Wednesday. As indicated by the background to its publication – and certainly to any Borden case fanatic – this should be one delicious read. 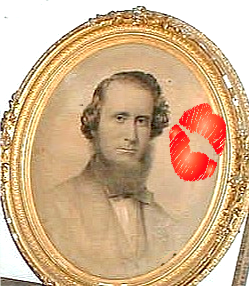 Andrew Jackson Borden, from all we can surmise, loved his wife, Sarah Anthony Morse Borden. Sarah was a pretty little thing when they married on Christmas Day, 1845. He was 23 and she was 22. Probably a true love match. But it would be five years before they had any children. Emma Lenora Borden, born March 1, 1851 was older sister to Lizzie Borden. Unlike Lizzie, Emma knew her mother. Knew her and loved her. The photo of Alice in old age is the only known photograph of her to date. Here’s hoping Parallel Lives will have more. The below article is from the Fall River Historical Society’s website, taken from their Summer 2002 newsletter, also posted online. They are all worth reading so check them out. “Frank B. Hadley has recently donated a rare and important photograph of Miss Alice M. Russell to the Fall River Historical Society. 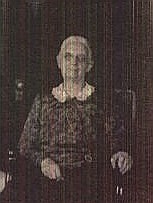 It is the only photograph of Miss Russell known to exist, depicting the subject as an elderly woman. 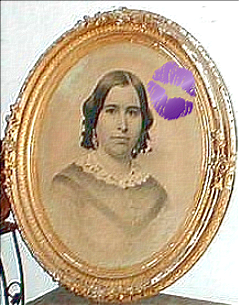 Miss Russell was the first cousin of the donor’s grandmother, Ida Russell. Ida’s husband, Dwight Minor, took the photograph at 3:46 pm on September 4, 1931, with the subject sitting in her comfortably furnished room at the Home for Aged People in Fall River. In the mirror of the ornate Victorian bureau can be seen the image of the photographer, standing before a window. The photograph was found by the donor among a collection of family photographs enclosed in an envelope inscribed “Alice Russell Lizzie’s Turncoat Friend” in the hand of Mr. Minor. The reverse of the photograph is inscribed “Alice Maria Russell, Fall River, Sept. 4, 1931.” in an unidentified hand. It is interesting to note that the middle name, as it appears on the photograph, is Maria, as it was previously believed that the initial “M” stood for Manley, the maiden surname of her mother. Born in New Bedford, Massachusetts, in 1852, Alice was the daughter of Frederick W. and Judith (Manley) Russell. She was employed as a clerk for several years in Fall River and later taught sewing in the public school system. In 1908, she was promoted to the position of supervisor of sewing, remaining in that capacity until her retirement five years later. 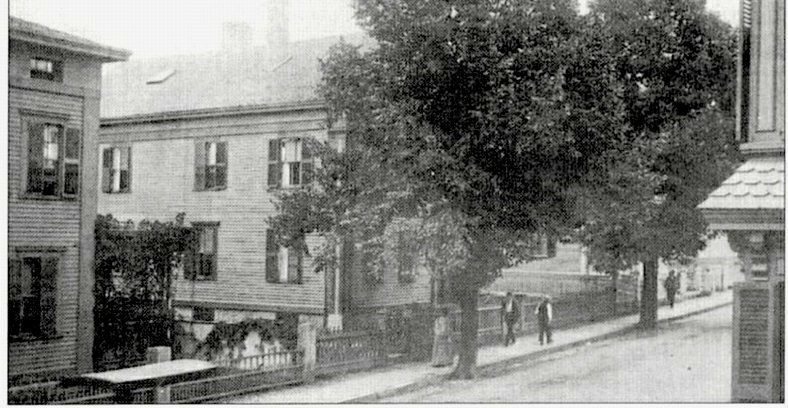 A Fall River resident for most of her life, she spent several years living next door to the Borden family on Second Street. In 1930, Miss Russell moved into the Home for Aged People on Highland Avenue, remaining in residence there until her death on January 21, 1941. A friend of both the Misses Borden, Alice Russell was among the first summoned to 92 Second Street following the murders of Andrew and Abby Borden, remaining there until the following Monday as company to the sisters. She testified at the inquest and preliminary hearing, but it was not until the grand jury hearing that she revealed her “burning of the dress” testimony. She was also a witness at the trial of Miss Lizzie A. Borden in June of 1893. While on the stand describing the events which occurred in the kitchen of the Borden house on Sunday, August 7, 1892, Miss Russell was instructed to make a series of marks on the floorplans of the house drawn by architect Thomas Kieran. Hi! I’m playing Alice in the rock musical based on the murders! I’ve loved browsing your blog! I emailed you sometime recently, and was sad not to hear back from you! Do you know if there might be any photos of Alice around the time of the murder? Do you have any little know insights about her? As Alice was on the faculty of Durfee FR High School, possibly there may be a yearbook picture of her as late as the 1913 edition. She was a sewing teacher. I’ve not come across any photo of her in the Durfee year books. I am doing a diary entery of Alice for my school work! Reblogged this on Tattered Fabric: Fall River’s Lizzie Borden.